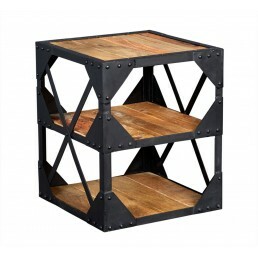 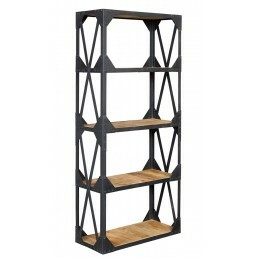 Hand-made in India from reclaimed metal and wood, this up-cycled contemporary warehouse style furniture features a strong, black metal, framework along with the natural beauty of solid re-cycled timbers. 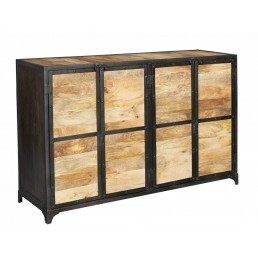 This collection is perfect for those looking for a very contemporary and unique, lounge, living room or home office. 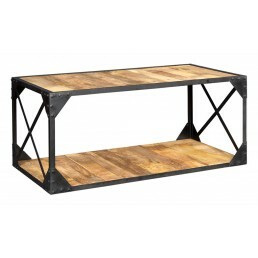 Hand made from reclaimed metal and wood, this Industrial Vintage Style Coffee Table with Shelf wi..
Hand made from reclaimed metal and wood, this industrial vintage style corner TV cabinet with two..
Up-cycled Reclaimed Industrial Bookcase with 5 Shelves featuring wood and Metal and Solid Wood. 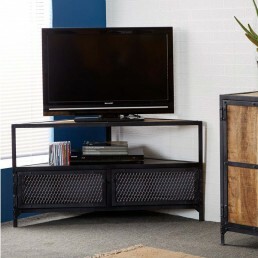 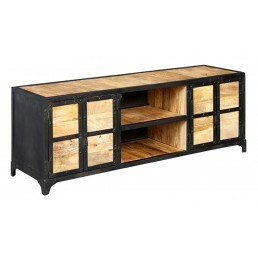 ..
Up-cycled Reclaimed Industrial TV Stand features wood and Metal and Solid Wood. 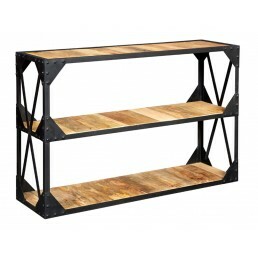 2 shelves and 2 c..
Hand made from reclaimed metal and wood, this Industrial Vintage Style 4 Door Sideboard will comp..
Hand made from reclaimed metal and wood, this industrial vintage style small sideboard with two d..
Up-cycled Reclaimed Industrial Table featuring Metal and Solid Wood. 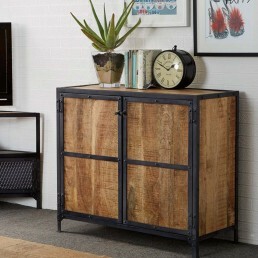 Ideal for end table, coffee ..